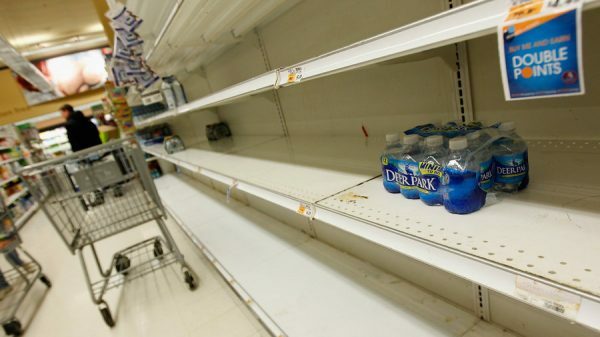 The approaching Hurricane Matthew has led to news reports that governments are warning residents and businesses in Florida about price gouging. It brings up a question related to my recent post on FB about a narrow question of economics. Do anti-gouging laws actually hurt people? Or is that just a myth of the cultural Marxists to scare people from helping one another and turn instead to benevolent Uncle Sam for rescue? Here’s the very real scenario: people hit the stores to stock up on the essentials: beer, milk, bread, etc. Consequently, the stores run out of those essentials. Entrepreneurs who are beyond the danger zone of Hurricane Matthew see an opportunity, buy up beer, milk and bread, buy coolers and ice, load up their trucks and vans, and drive into the danger zone to sell these supplies. Naturally, they do not sell them at the same price they bought them for. They want to make a profit. First, they add the cost of the ice, the cooler, and the gas, and if they are smart, they add the value of their time for the shopping, loading, driving and working, meals on the road, lodging, and then they set a price above this amount which would represent some hoped-for profit margin. The price could easily be double or triple the normal price. Now, the state would consider this gouging. Many on the Left and Right rage against the practice. And yet, aren’t these entrepreneurs actually doing the consumer a fabulous service?